After dominating the Halloween Classic at the Gate in their respective classes, Isaacs and Gee put on an amazing show at the U.S. Indoor Champs to lead an impressive group of Awesomatix drivers. 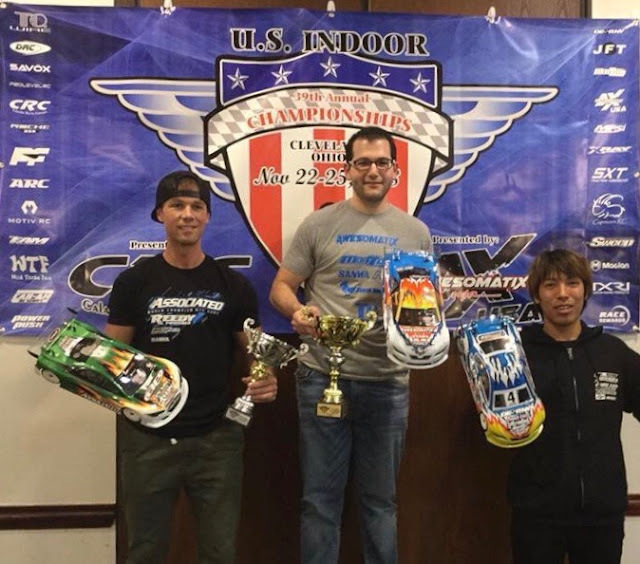 This years indoor champs drew drivers in from the United States, Canada, and Japan. In modified turning car, fastest of the touring car classes, Isaacs took TQ by two seconds over fellow Awesomatix driver Gee. 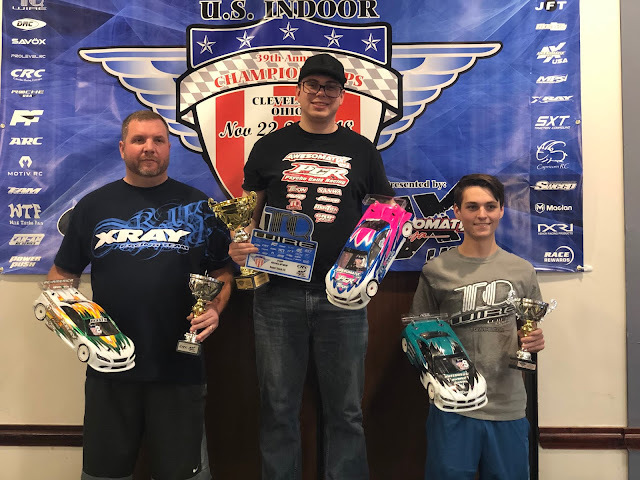 Xray driver Drew Ellis rounded out the top three. In super stock touring it was Gee with a 3 second advantage in qualifying over Ellis and Awesomatix driver Eric Anderson qualified third. In USGT and VTA TQ honors would go to Awesomatix drivers Dave Johnson and Wayne Gerber. Modified Touring car would see Isaacs tap at the end of the sweeper and go wide, then cut back in sending Gee across the track to start his lap all over. With Ellis in the lead for a lap he soon tapped out in the chicane giving the lead back to Isaacs, which he would never relinquish. Canada's Keven Hebert would come home second for Associated, with Japan's Yugo Nagashima finishing on the podium in third for Destiny. Super Stock touring saw Gee put on a show. With a bobble half way through the race he gave the lead up, but would battle back strong to take the win over Ellis. The surprise of the event would see Kemp Anderson take his 9th qualifying spot, even battling it out with his father, to another podium finish for Awesomatix. 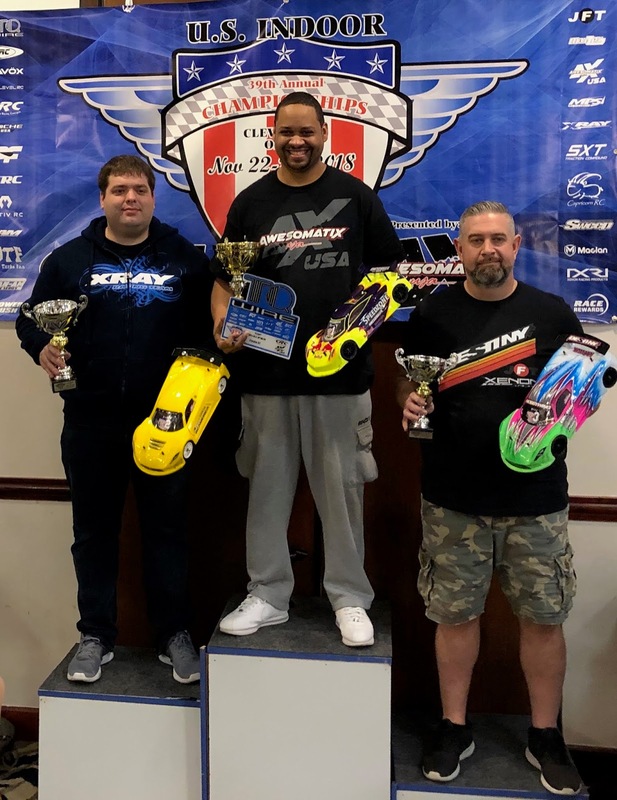 USGT would see another Awesomatix win come from TQ Dave Johnson by a mere 2 seconds over Xray driver Alex Fournier and Destiny's Martin Lecuyer. 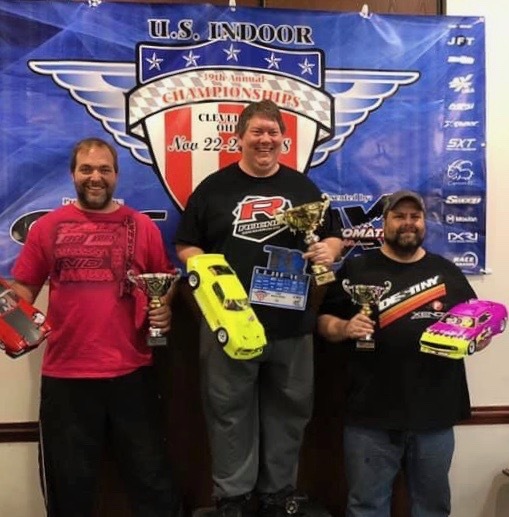 In VTA Gerber would take his TQ to the win over fellow Awesomatix driver Justin Lyons by three seconds. Destiny driver Paul Doyle would come home in third to round out the podium.